Terms and Conditions – J-Ports K.K. When you are buying from any of our personality sellers listed on our website over Facebook, either in a live stream or in a group, you are agreeing to following terms and conditions of J-Ports K.K., located in Shinmachi 1-8-24 #703, Nishi-ku, Osaka, Japan. Please read them carefully. All of our items are professionally authenticated by our own in-house authenticators. We do not accept or sell anything for consignment that cannot pass our own authentication tests. 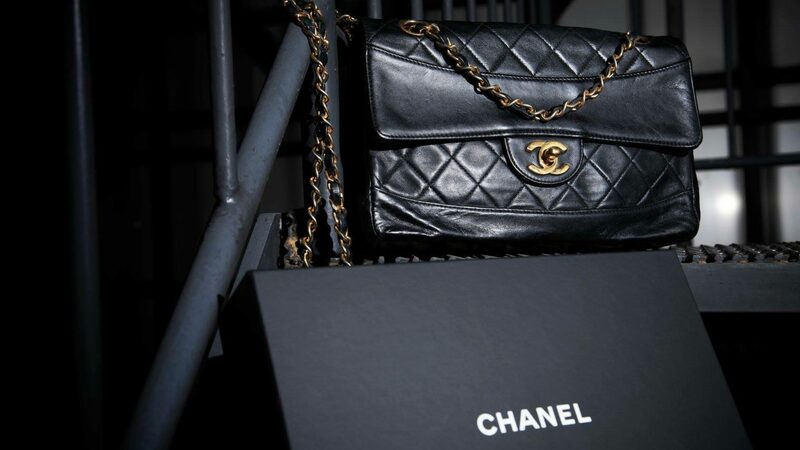 Every item sold by us is guaranteed authentic by our authentication expert. We accept returns and refunds if the item you purchased from us turned out to be counterfeit based on the assessment of the following independent authenticators. A Certificate must be provided. Please note that we are not affiliated in any way to them, and that we cannot accept claims of counterfeit items made by any other entities. You are obligated to pay for the item(s) within 4 calendar days from the date of the purchase. The date of the purchase is the date and time when we issue a PayPal invoice to you. After you pay an invoice, we do not accept cancellation. Please note that combined purchases will be invoiced and shipped as one. You can combine items purchased within a 4 day (96 hours) window. This can be done with items purchased from one or more sellers, as long as all the items you wish to combine HAVE NOT BEEN PAID YET. To do this, please contact one of the seller(s) from whom you made your purchases and let them know which items you would like to be combined. If you purchase multiple items from us (even on the same day from the same seller), we will bill you and ship them all separately UNLESS YOU INSTRUCT US OTHERWISE. Purchases made on Live Brand Auction cannot be combined. Combined items will be invoiced and shipped together. Due to shipping restrictions (such as large or fragile items), some items cannot be combined. We only ship one package per day in order to help you minimize the potential customs fees, which means there will be a delay of 24 hours between each package. We ship all orders through Japan Post, which means your local postal service will be the delivery agent. We typically ship your order within 24-48 hours from your invoice being paid, and it will take between 5-12 days to arrive almost anywhere in the world from the time being shipped out. If your order exceeds a certain size and/or dollar amount, we will upgrade it to an express shipping for free, which will take 3-5 days for delivery instead. You may upgrade any order to an express shipping by paying the additional $14 express shipping fee, as long as the order has not been paid yet. If you wish to do so, please let us know during or after the sale immediately. Please bear in mind that international shipping has many restrictions and we cannot guarantee certain delivery arrangements that might be common in your home country. This is due to restrictions imposed by either Japan Post (which handles delivery only to the point of entry into your country) or your home country’s postal service, all of which are out of J-Ports’ control. You are ultimately responsible for any and all potential customs (importation) fees. Our sellers will assist you as much as possible to help you minimize the fees, but we cannot guarantee the fees will not be levied against you or how much they will be. When we reasonably suspect that you have no intention or ability to pay for your order based on your past purchasing behaviors and records. Cancelled items will return to our stock and will be made available to other customers. We cannot hold items for you beyond the 4-day window above. We only accept returns or refunds in the following cases. However please note that items that have been modified/altered in any way from the original condition we shipped in (even in an attempt to repair them) will not be eligible for return or refunds. Item(s) you purchased could not shipped within 14 calendar days from the date of the purchase due to postal strikes, natural disasters and other unforeseen circumstances. In such cases, please make your claim to our customer support within 7 days of your order being delivered. In case your order never arrived, please make your claim within 45 days from the date of the purchase (which is the date on the PayPal invoice for your order).